The Rioja Alavesa Wine Route is an excellent option for an all-encompassing escape to Northern Spain. You can go on this journey at any time throughout the year, and it offers more than just wine. This route features landscapes of vineyards seen in movies, traditional gastronomy (enlace comer en álava), dreamy wineries, medieval villages… An endless number of enjoyable activities related to wine. This route is recognized worldwide as a major destination for enotourism, or wine tourism. Rioja Alavesa has 140 establishments with a wide variety of activities: visits to wineries, restaurants, museums, wine cellars and more. The gastronomic experience is also an important part of the Rioja Alavesa Wine Route. Here, you can find recipes made with fresh produce from Alava’s orchards, vegetables, cured meats and cold cuts (enlace a Carne de Vacuno Euskal Okela), among many other quality options. Rioja Alavesa is made up of 23 interesting towns and villages. Walk through its historic centres and experience the authentic side of Rioja Alavesa, visit wineries of great architectural interest and photograph the medieval surroundings. A stop that you should without a doubt make is in the municipality of Laguardia, which has ancient stone walls worth seeing. Of course, you can’t forget about Elciego, Villabuena, and Labastida… Let’s begin! As part of the Qualified Rioja Designation of Origin (enlace a Vino Rioja en el País Vasco), Rioja Alavesa has hundreds of wineries that produce some 40 million litres of wine per year. Red wines are the most distinctive ones, with a bright colour and fine aroma. Its flavour is fruity and pleasant on the palate. They are made with different varieties of tempranillo (grapes for wine production): mazuelo, garnacha and graciano. 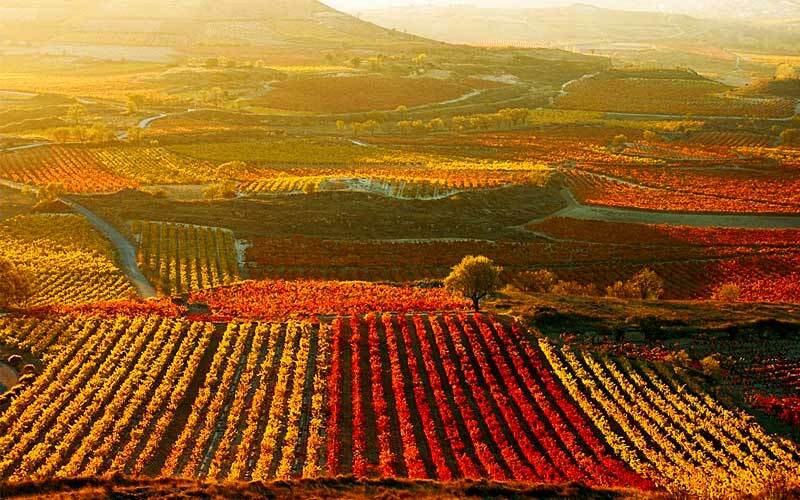 The red wines of Rioja Alavesa are famous thanks to the quality of the region’s soil. The soil is clay-lime, so the vines are infused with the humidity necessary to produce the most delicious wines. The location of the vineyards and the excellent climate is also an essential part of the production process. The Sierra de Toloño mountain range protects the vineyards from the wind so that the vines can stay warm. 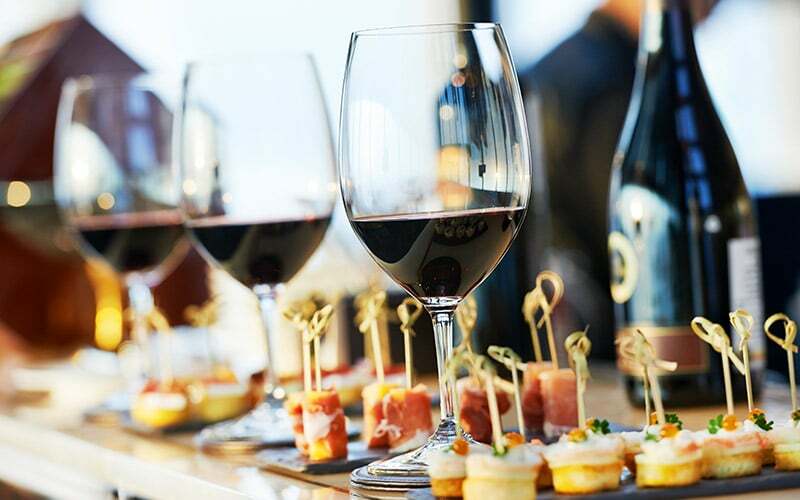 It is also a perfect experience for lovers of white and rosé wine, as they are increasingly becoming more popular in the wineries of Rioja Alavesa. Want to know more? Young wines are produced through a process called carbonic maceration. On the other hand, older wines such as Gran Reserva, Reserva and Crianza are achieved through a de-stemming or Bordeaux technique. What should accompany the wine? A gastronomic experience of exceptional quality that provides both modern cuisine and the most classic recipes of Rioja Alavesa. You can taste traditional Rioja Basque dishes while enjoying the best wine (enlace a rioja Alavesa-Fiesta de la Vendimia). Many of the recipes are made with extra virgin olive oil of the Arróniz variety, a product of the region. We can not forget to mention the potato variety unique to Alava, which is very present in the culinary world on this fantastic route. Of course, the ingredients of this land give rise to the most artisan pintxos and the tastiest miniature casseroles, which would be impossible not to devour with some bread. If you follow this route, don’t forget to try roasted suckling lamb or potatoes with chorizo, (a Riojan sausage). In many of the restaurants you can order traditional dishes such as carrilleras al vino tinto (a meat dish), pochas and alubias (types of Spanish beans), and morcilla asada (roasted blood sausage). 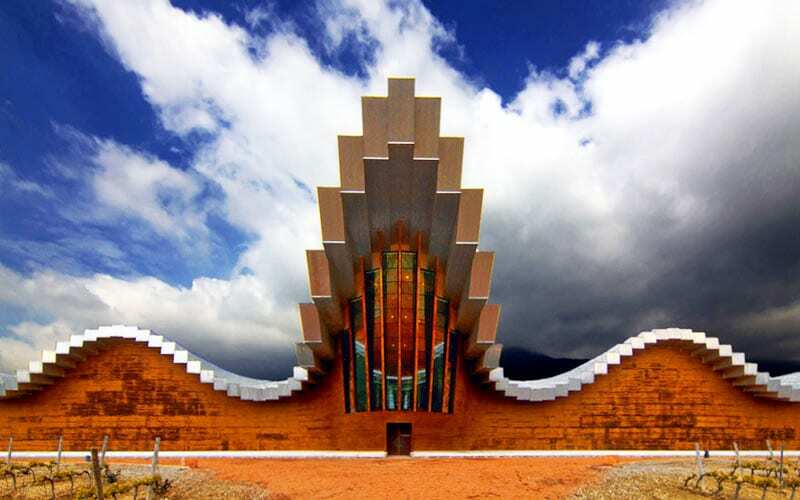 This winery stands out for its architecture, which seems like it is from a dream. It is part of the project known as Wine City: a combination of tradition and the avant-garde. 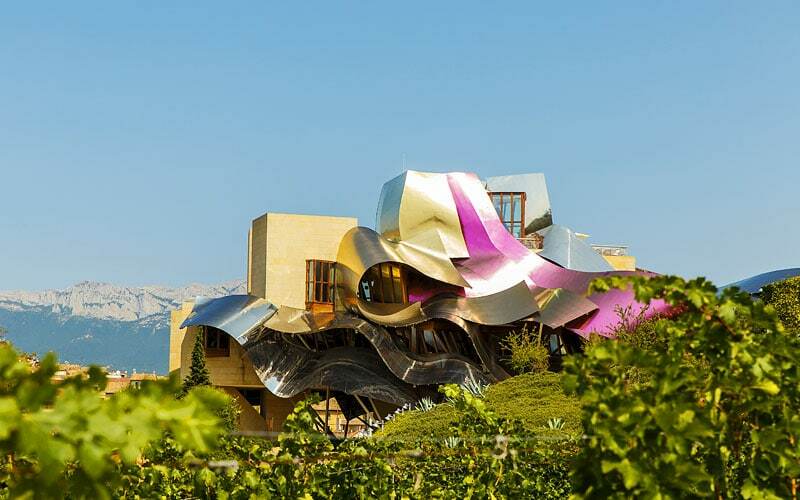 This winery, designed by architect Frank O. Gehry, can be found in Elciego. The winery has a hotel, restaurant and an exclusive spa. Sightseeing, sampling wine and tasting food… activities for a very complete day in Samaniego. It should be noted that the wines Baigorri Crianza 2015, Garnacha 2013 and Reserva 2009 won gold medals in the 2018 Mundus Vini. Congratulations! At the foot of the Sierra de Cantabria (in Laguardia), this winery stands out for its elegance and its creation of a very personal wine. Designed by the famous architect Santiago Calatrava, the winery is reminiscent of a row of barrels in which anyone would want to get lost. 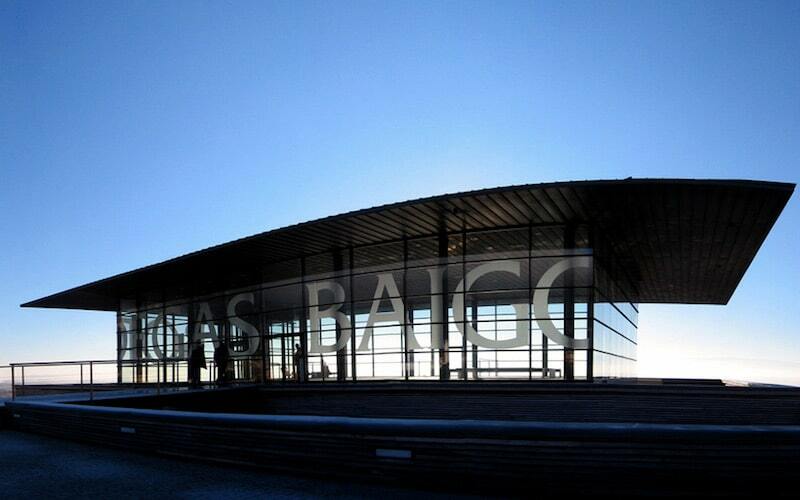 This is another must-see stop on the wine route through Rioja Alavesa. 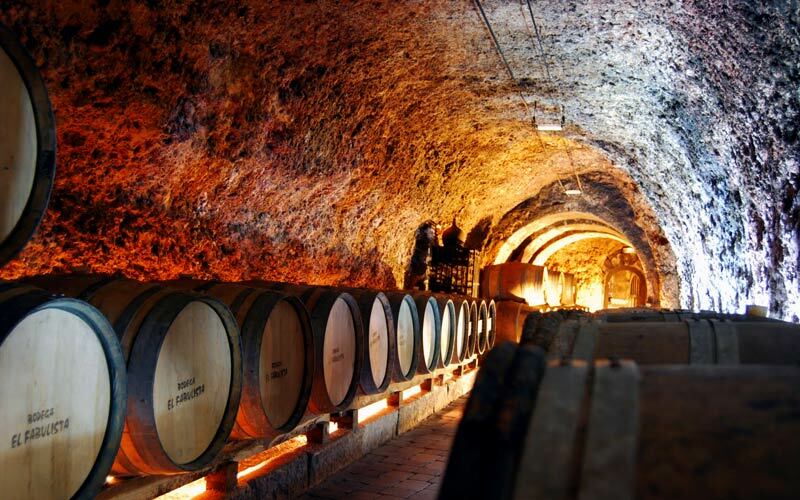 This winery in Laguardia is hidden under the house of the fable writer Félix María de Samaniego. You can walk through 15th-century underground passages while enjoying the tales of this storyteller. And, of course, you can not miss an original tasting here.